Product Parade: Pebbles Chips! - Pebbles, Inc.
Today we are highlighting one of our favorite Pebbles products here on the blog … Pebbles Chips! These chipboard pieces are absolutely delicious and coordinate perfectly with Pebbles papers, Candy Dots, and Ribbons. There are 70 glittered and printed shapes in each bag – talk about yummy possibilities! 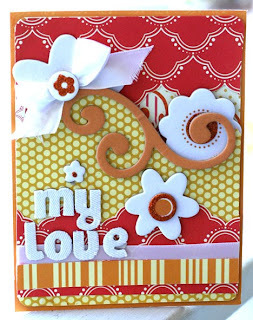 Design team member Christa Pastenbaugh created this fun layout with our Pebbles Chips. 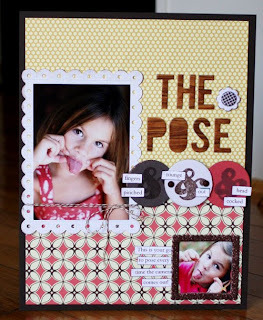 She used the Pebbles Chips as the perfect base for her stamped images and journaling pieces as well as one of our glittered chip frames to highlight one of the adorable photos of her daughter. Design team member Liz Qualman created another sweet layout using our Pebbles Chips. Here’s what Liz had to say … “I snapped this photo of my daughter at the zoo last Spring and love how the Pebbles Lil’ Miss papers have the same color palette as the flamingos. I thought it was a good contrast to use the yellow Pebbles Chips and Ribbon. It’s so cool how you can color the chips or leave them plain, which I chose to do for this layout because the white was also a nice compliment to the clean and simple lines of my layout. Nothing is complete without a few Pebbles Candy Dots and I try to incorporate them as often as I can.” Adorable Liz! Such great ways to use the Pebbles Chips! Awesome!